We’ve got a couple of more photos to show you. This time the RPi-X SesnoRPi is mounted into a case. Mounted into a case the SensoRpi is extremely ridged. We’ve continued testing and the electronics are all confirmed working. 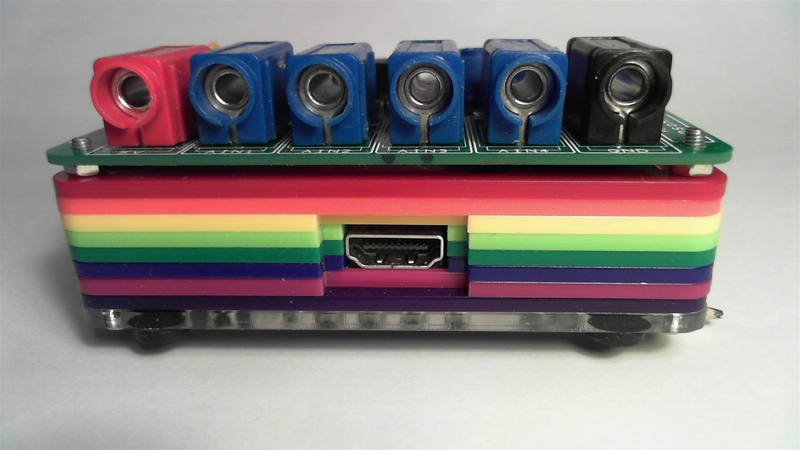 So far we’ve tested it using Python and RPi.GPIO, next we’ll be testing it using Scratch with the GPIO extensions from Simon at Cymplecy. 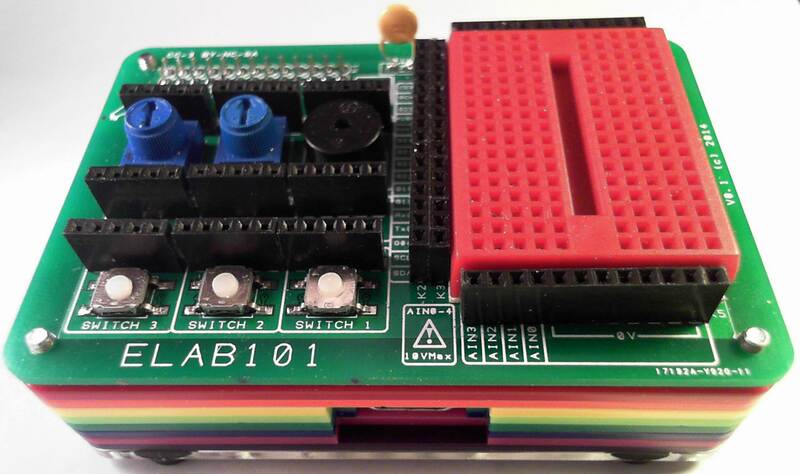 RPi-X ELab101 is the second of our RPi-eXperimeter boards. 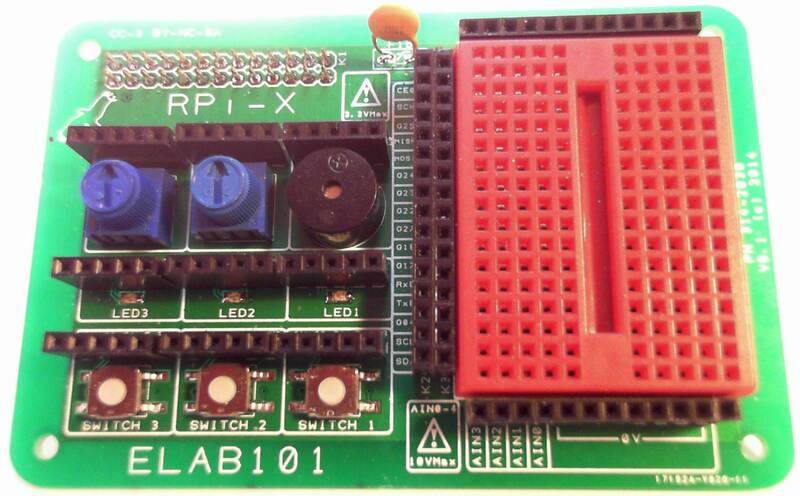 RPi-X ELab101 is a mini electronics lab for the Pi. 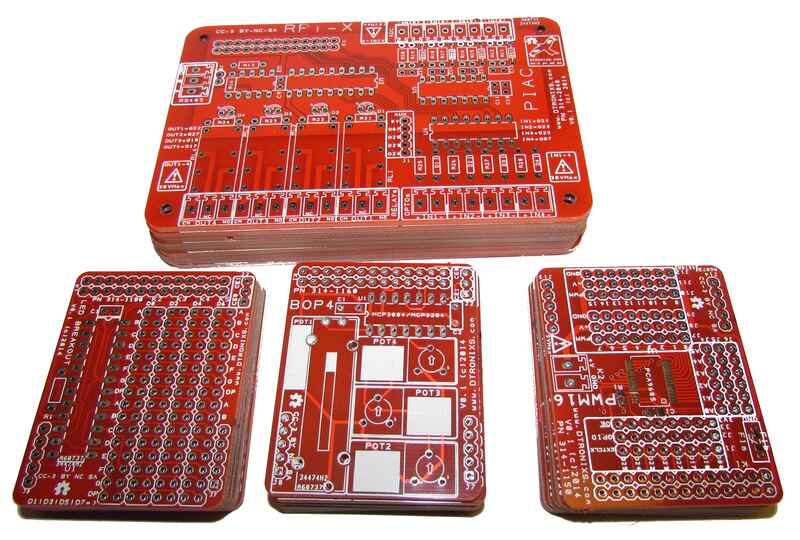 It is dominated by a 170-pin bread boarding area for prototyping and construction your circuits on. Next to this, there are 3x tactile switches, 3x LED’s, 2x potentiometers and a buzzer circuit which make up the input and output devices. 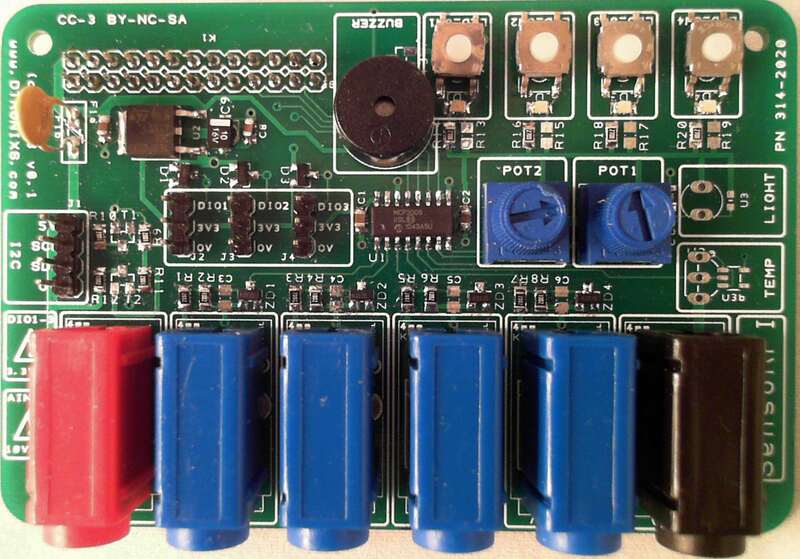 These are connected to female headers allowing them to be quickly interfaced with the Pi’s GPIO’s using simple male-male jumper wires. 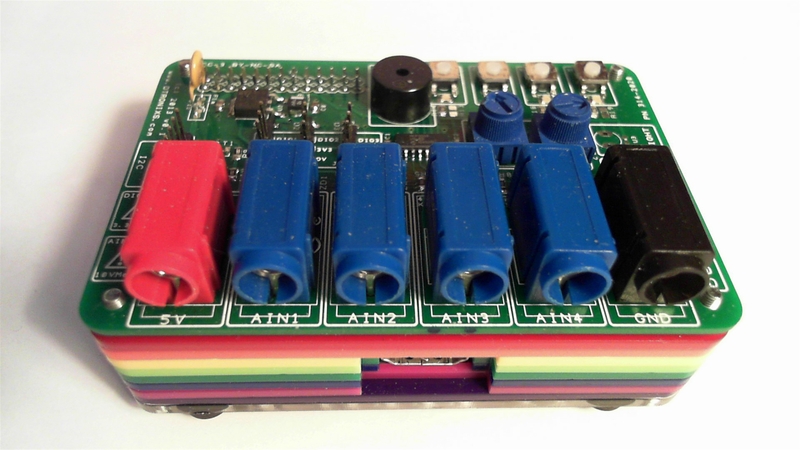 For analogue measurements, a 4-channel 0V to 10V, 10-bit ADC is included and it’s inputs are also available via a female header connector. Finally, all the signals from the Pi’s expansion header are brought out to female headers, giving access to all the Pi’s expansion signals, including the GPIO’s, SPI, I2C, UART and PWM.